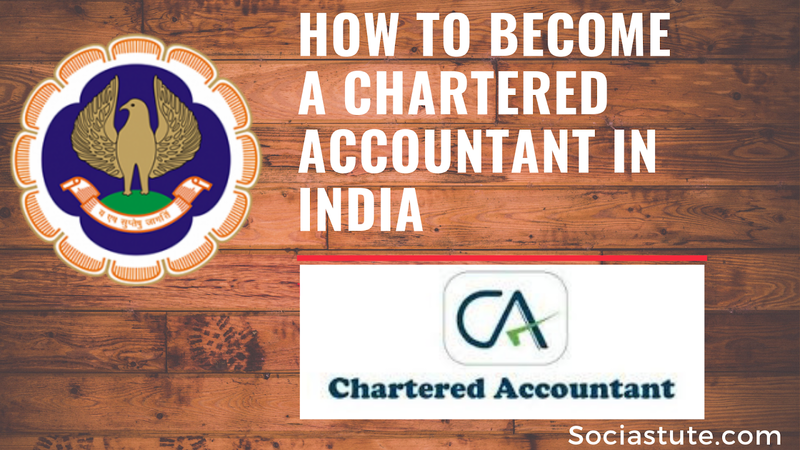 How To Become a CA (Chartered Accountant). Eligibility And Complete Information About CA. Explained. HomeinformationHow To Become a CA (Chartered Accountant). Eligibility And Complete Information About CA. Explained. How To Become a CA | If you have just completed your 12th boards in commerce or you're curious about one of the most prestigious jobs in India, you have come to the right place. In this article, we will know how to become a CA (Chartered Accountant) Eligibility And Complete Information About CA. I know, there are tons of students who want to pursue CA after 12th, but end up with other courses because they don't really understand what a CA actually is and how to become a CA. Many of us, including me, have the dream to join this high profile job. As a matter of fact, let me tell you that currently, I'm pursuing CA and it's my third year. I will use all my own experience and elaborate to make sure that you understand every single point with ease. Before starting I want to you to get something fair and square. 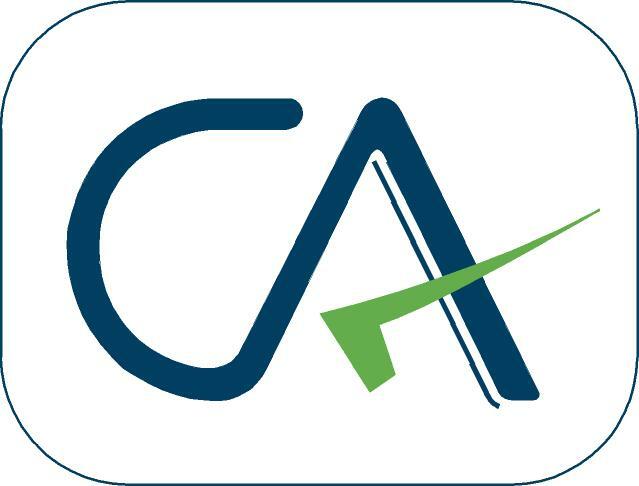 CA is one of the most high profile jobs in India and it equally is very tough to crack. It is one of the toughest courses in the world. Every year you'll see only a few percentages of the total students who appear the exam can either pass or gain exemption. It's a no-nonsense course and you must be willing to give your best before you join this course. If you go on proper work ethics and work hard you for the success you can achieve success with this course quite easily. All you need to have is pure dedication and determination. I just wanted to create a clear picture of the CA course in your mind, and I hope you got that pretty clearly. So now let's know what a CA actually is and what are the ways you can clear this tough course and later I will give you all the step-by-step procedure on how to become a CA. A chartered accountant, commonly known as CA is an accounting professional with all the knowledge and super knowledge in the field of accounting. A CA has all the accounting super knowledge under his belt and has many superpowers in the field of accounting. There is no particular work that a CA can't do in the field of accounting but the most popular tasks for a CA are to provide professional assistant in accounting, auditing, taxation, financial analysis, risk management and advising on financial structures. A chartered accountant is a member of the ICAI (Institute of Chartered Accountants of India ) which was founded in July 1949. ICAI is the statutory body conducts all the exams for the chartered accountancy in India which was created by the Parliament to foresee and regulate the Chartered accountancy in India. The Chartered Accountancy course is divided into three parts and the minimum duration for the course is 4.5 years. It is a bit lengthy and will take 5 years easily even if you complete each of the groups in a single attempt. CA starts with the entry-level foundation course covering 400 marks. There are 4 papers in this foundation level of carrying 100 marks each. You must have to pass the CA foundation level before proceeding to the next stage which is called C Intermediate. CA Intermediate, earlier known as IPCC is the second stage in the Chartered Accountancy course. After you complete the foundation level you are eligible to register for CA Inter. Inter has been divided into 2 groups. You can either complete both the group at once or opt to take one group at a time. There are a total of 8 papers in the Intermediate level each consisting of a total of 100 marks. It is divided into two groups and you need to take 4 papers in both the groups. CA Final is the last barrier you need to overcome before you can attain the membership of ICAI and start practicing the Chartered Accountant. This generally happens after you complete the articleship, with exceptions in some cases, and after the completion of articleship, you are good to go for the final exams of ICAI. Like the CA Inter, the Final level also has been divided into two groups consisting of 8 papers and all carrying 100 marks each. Again you can either opt to complete both the Group at a single time or go for the groups one by one. It all depends on your choice. Before opting to make a career out of it you must have to know what are the eligibility criteria and other rules for joining the CA course. You must have to pass the 12th before appearing the Foundation level exam. You can still apply for the Foundation course after completion of your 10th exams but you won't be able to sit on the exam unless you pass the 12th exam. It doesn't really matter from which stream you come from. You can apply for the foundation exam even if you are not from the commerce stream and you'll be eligible to sit in the exam irrespective of the stream. But you must have the proper knowledge about accounting to come out successful in the exam. There is no minimum percentage or marks requirement for applying for the CA Foundation course. You just need to pass the 12th and you will automatically be eligible to sit in the exam. How To Become a CA (Chartered Accountant). In order to start your journey with CA, first of all, you need to register for the Foundation exam. You can register as soon as you pass your class 10th exam. This is an entry-level test you need to clear before you get to the Inter level. Even though you can register for the course after passing the 10th you will only be able to sit in the exam after passing the 12th exams. The Inter exams are held twice every year - May and June and you need to get registered before 30th June and 31st December. If you register before 30th June, you are eligible for appearing in November exams and in the same way if you register before 31st December you are eligible for the May exams. You need to head on to the official website of ICAI and register yourself for the course. After you clear the foundation course you will move to the next level which is known as C Inter, previously known as IPCC and the details are discussed below. After clearing the foundation course you will have to enroll for C Inter, also called IPCC (Integrated Professional Competency Course) which is the second stage of the Chartered Accountancy course unless and otherwise, you take Direct Entry Route for CA course. ICAI offers a direct entry system for students who are already graduated with good marks. For being eligible to this, you need to score a minimum of 55 percent if you're from commerce stream and for students who take other streams must score a minimum of 60 percentage in graduation to be eligible for the direct entry Route. This means you have the cushion of getting to the Inter level without having to clear the Foundation course. You can apply for the Intermediate level without applying for the Foundation course. Whether you get to the Inter level through Direct entry scheme or after clearing the Foundation exams you now have to clear the Intermediate level which is divided into two groups - Group 1 and Group 2. There are a total of 8 papers consisting of a total of 100 marks divided into two groups. You can either complete both the group at once or you also have the option to clear the two groups one by one. In order to clear Inter level exams, you must have to score 40 percent marks in each subject and have an aggregate percentage of 50 out of the total marks after which you can apply for the Articleship under Chartered Accountancy course. You may also start the Articleship after clearing one of the two groups along with the ICITSS (Integrated Course on Information Technology and Soft Skills). Articleship is the third stage of the Chartered Accountancy course. It is a type of training whose duration is three years that allows students to work on real assignments for real employers in the Chartered Accountant firms. After you complete the Intermediate level you have to enroll for the Articleship and only after the completion of the Articleship you can register for the CA Final exam. After the completion of Articleship period, you will be eligible for the CA Final exam which the last barrier you need to overcome to become a Chartered Accountant. You will be eligible to appear in the CA Final exam after 2.5 years of Articleship but you need to complete the remaining period after the Final exam making it three years of Articleship in total. After you are done and dusted with both the Intermediate and Articleship you now proceed to the CA Final level which is the final stage in the Chartered Accountancy Course. After the Intermediate you must have to complete the articleship before you can appear in the CA Final exam. It is an exam of a very advanced level and it is one of the toughest exams in India. Now for clearing the CA Final level, you have to score 40 % in each subject as well as 50% of the aggregate marks. After you successfully clear the CA Final level you now have to get registered with the ICAI and gain the membership which eventually allows you to finally practice as Chartered Accountant. Chartered Accountancy Course generally takes a minimum of 5 years even if you clear every exam in a single attempt, which generally is very rare. Being the toughest course in India, it is also equally one of the most sought after Courses in India. If you have already made your mind for this prestigious job you need to start with proper strategy and must be willing to give your best at every single point during the course. If you have a proper strategy and work hard and study well there's nothing stopping you from being the next Chartered Accountant. Here, we provided you about how to become a CA. If you have any questions or query or any other information related to this article, you can let us know by dropping a message through the comment box below. We wait for the feedback and suggestions from everyone reading this article.